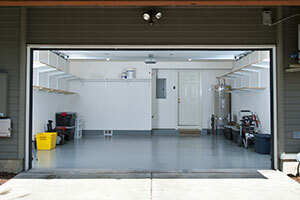 We fix garage door parts with great attention and care. How will I know that the springs are worn? 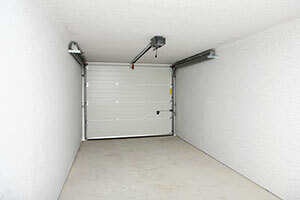 The simplest experiment is to disconnect the electric garage door opener and open the door manually. 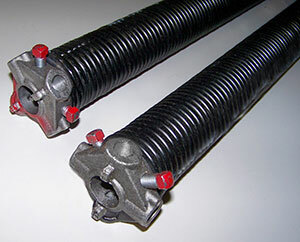 If you have to put great force to open it, our experts recommend immediate spring replacement. If the door opens, see if it can stand at one point mid-way. If not, the springs must be adjusted. 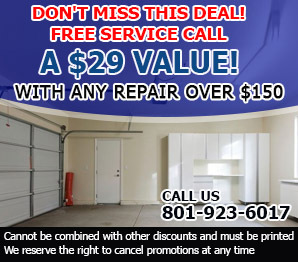 How can I treat wood garage doors? Wood needs good and frequent treatment. You can wash it but don't use excessive quantities of water. You must also let it dry well. The most important thing is to coat it with varnishes that will make the material resistant. If it starts peeling, scrap it, treat it with special products for wood and repaint it. Is it mandatory to place windows at the top of the garage door? The simple answer to this question is no. Placing a window on top of the garage door is more of a convention than a necessity. Garage lighting has improved vastly in recent years. Hence, you do not need a window to let the natural sunlight pour in.